It’s a common misconception that to be worthy of the moniker, a true sports car must have extreme horsepower and be capable of reaching an astronomical top speed. 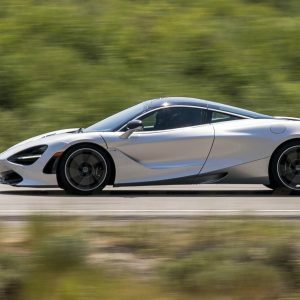 Sure, there are plenty of exotic sports cars that are exciting to drive, but when you have a car with the right balance and proper driving dynamics you don’t need big power to enjoy the drive. Case in point: the extremely fun 2017 Subaru BRZ. This lightweight coupe features rear-wheel drive and in most cases a manual transmission — two ingredients that most enthusiasts would agree are must-haves in a sports car. Add to this a lightweight chassis, low center of gravity and excellent balance and you have a very exciting car. 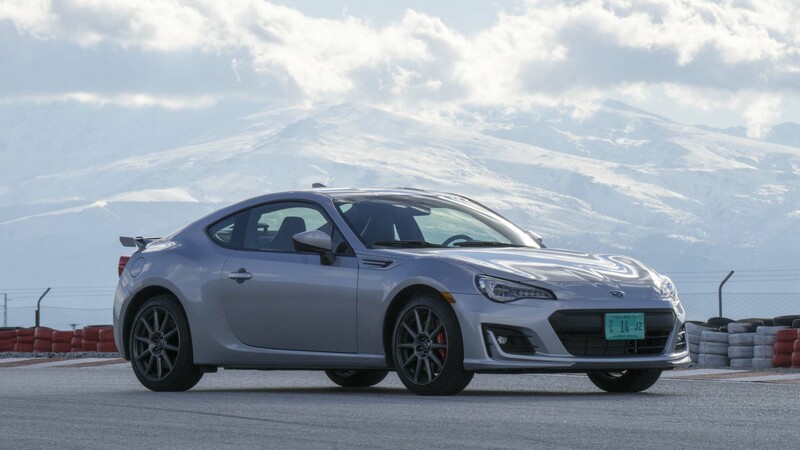 Bonus: The BRZ is much more affordable than most other cars in the category. 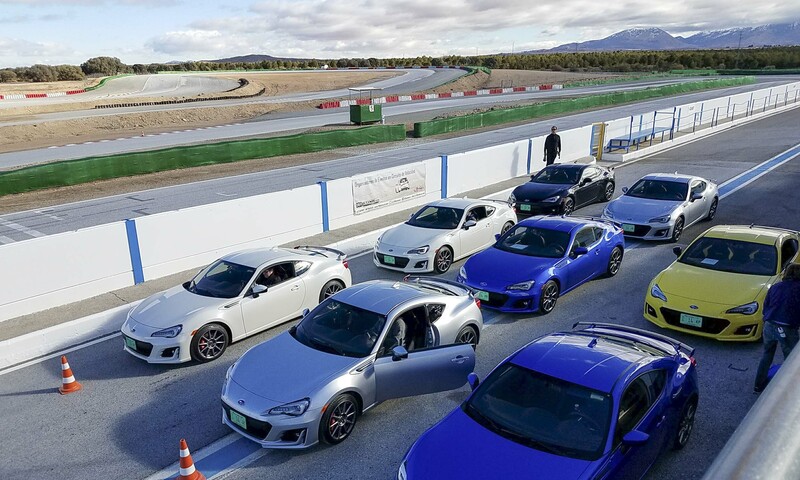 The BRZ is the only entry in the Subaru lineup without all-wheel drive, and while the brand is best known for providing safe, long-lasting family transportation, the company has plenty of experience with high-performance vehicles. With siblings like the WRX and WRX STI, the BRZ doesn’t seem at all out of place in the Subaru lineup. Subaru brought a few auto journos to Granada, Spain, to experience the latest version of the BRZ with all the 2017 model year updates. 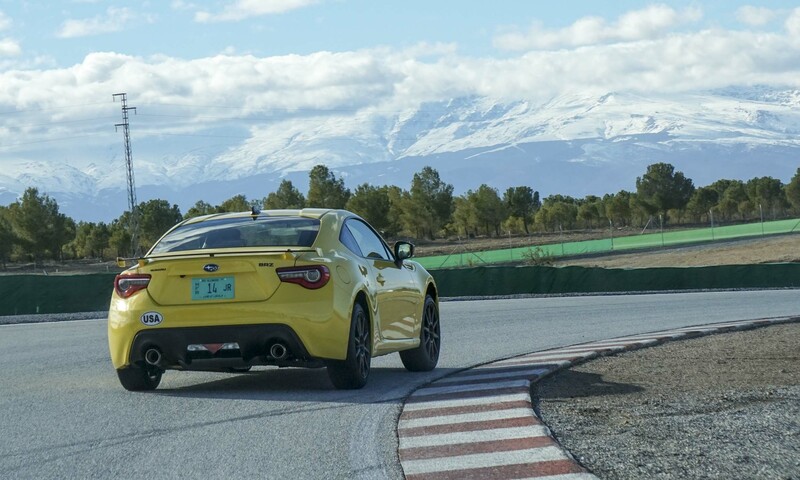 More importantly, the vehicles we drove featured the all-new performance package, which was perfect for taking on the twisty roads of the Spanish countryside as well as the technical Circuito Gaudix. Available trims for the 2017 Subaru BRZ are the Premium, Limited and Limited with Performance Package. In addition, the BRZ can be swathed in a limited-edition Series Yellow paint. 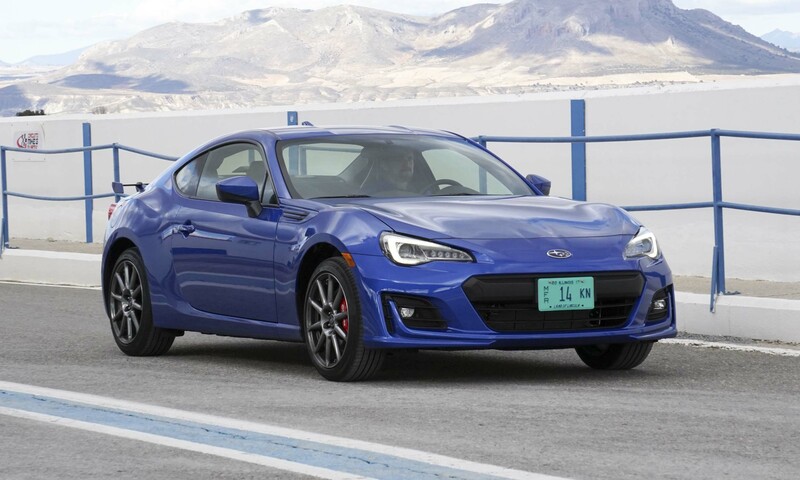 All models are rear-wheel drive and 83 percent of BRZ buyers opt for the manual transmission — the highest percentage of any car sold in America, according to Subaru. 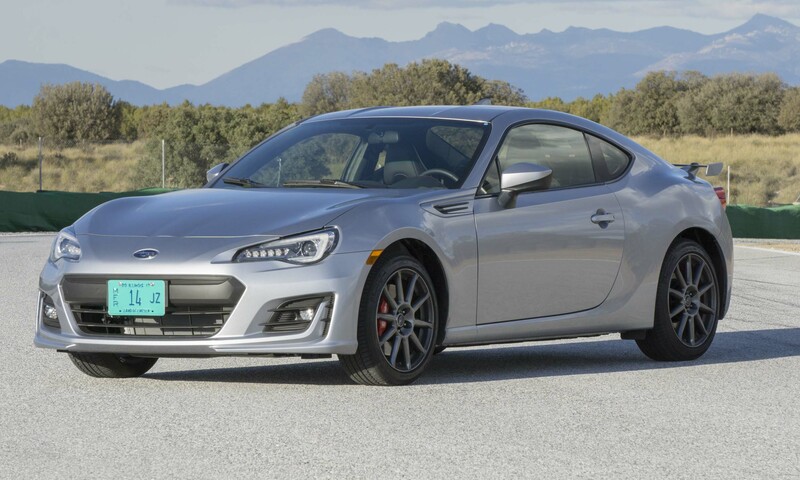 Although the BRZ possesses the same basic look since it launched for the 2013 model year, the 2017 model does receive a number of styling updates. 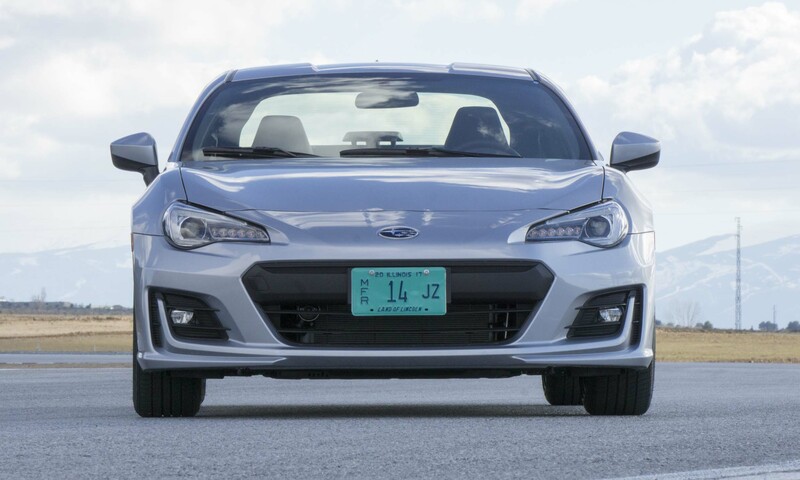 BRZ aficionados will notice a new front fascia as well as full LED headlights and taillights. LED fog lights are another new addition and alloy wheels have a new design. 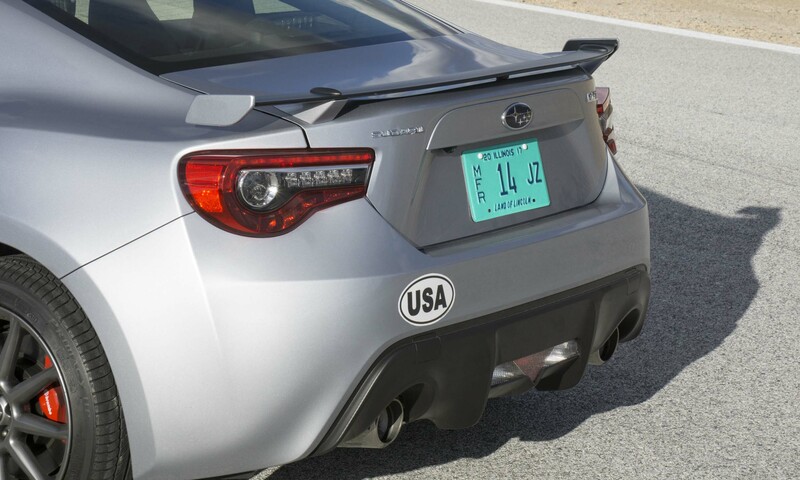 An aluminum rear spoiler is standard on all BRZs, which improves stability and downforce. Unlike the huge “boy racer” spoiler we’ve seen on the Subaru WRX STI, this one is much more tasteful. 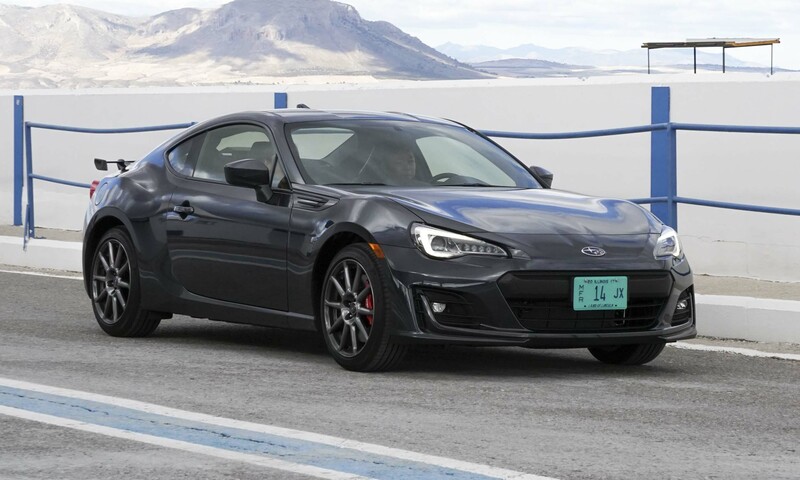 The Premium is the entry-level version of the BRZ with a base price of $25,495 — the same price when the car was introduced. 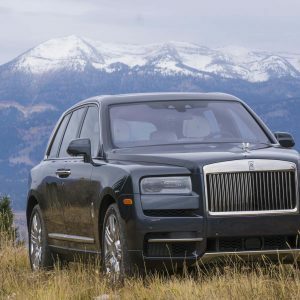 The Premium has standard leather seats, a limited-slip differential, a rearview camera, 17-inch alloy wheels and a 6.2-inch touchscreen display featuring HD and Satellite radio. 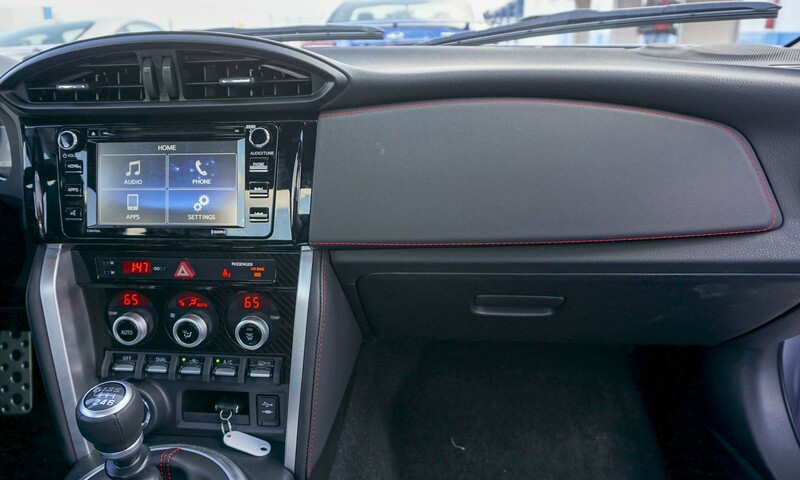 The BRZ is also equipped with the latest STARLINK apps — STARLINK is Subaru’s proprietary infotainment system that offers Pandora, Aha and Bluetooth hands-free connectivity. For an additional $2,150 buyers can move up to the BRZ Limited. Upgrades over the Premium include Alcantara and leather-trimmed seats, red stitching, keyless access and start, heated front seats, dual-zone climate control and LED fog lights. 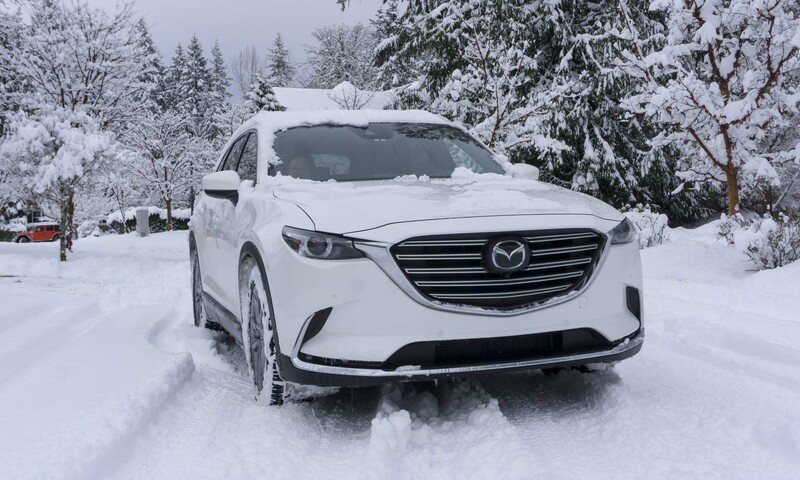 The Limited can also be equipped with an optional 6-speed automatic transmission and steering-wheel-mounted paddle shifters for an additional $1,100. New for the 2017 model year, the Performance Package is an $1,195 add-on to the BRZ Limited. This adds Brembo four-piston calipers and rotors on the front and dual piston calipers and rotors on the rear. SACHS Performance shock absorbers provide better corning stability as well as a more comfortable ride. Unique 17-inch black aluminum alloy wheels help the Performance Package-equipped cars stand out from standard trims. Cars equipped with the Performance Pack are only available with the manual transmission. 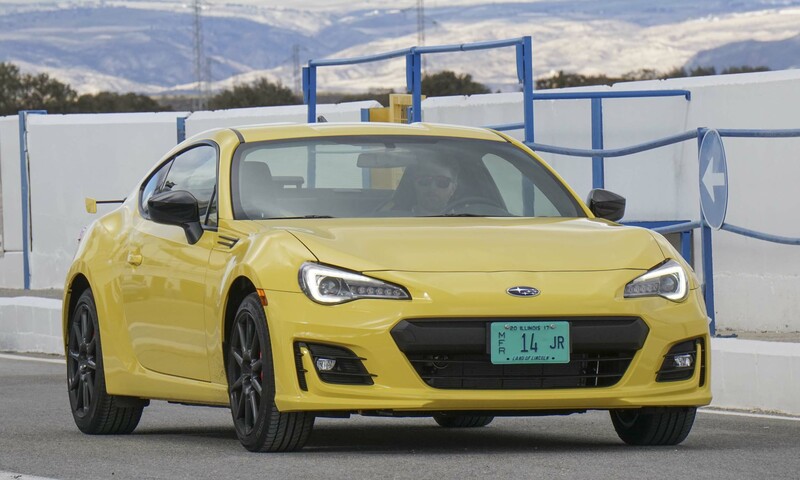 For the buyer who hopes to stand out from the crowd, a limited-edition BRZ Series Yellow exterior color is now available, offset by black badging and 17-inch black aluminum wheels. The Performance Package is standard on the Series Yellow, as is black leather and Alcantara upholstery with yellow stitching throughout. Only 500 of these special BRZs will be sold in America, priced at $29,695. 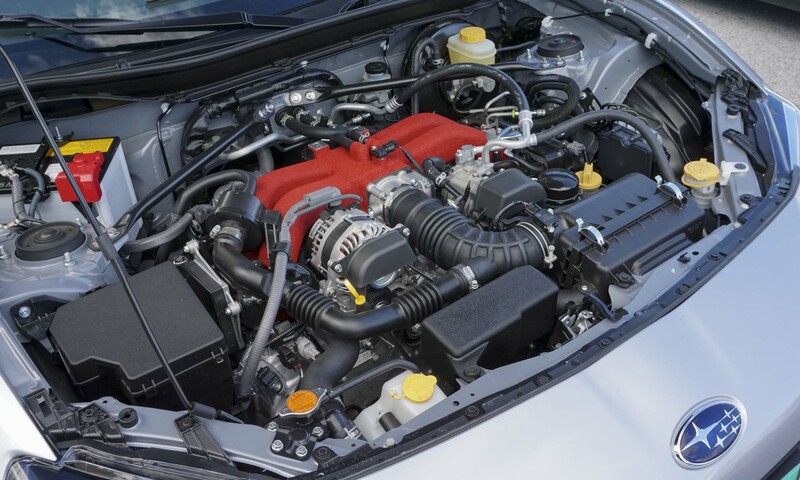 Powering the BRZ is a 2.0-liter horizontally-opposed 4-cylinder engine. The engine has been completely reworked for 2017 models equipped with a manual transmission. Updates include an aluminum intake manifold, a more efficient air cleaner, buffed and polished valve stems, revised rocker arm pivots, increased engine block rigidity, a larger exhaust manifold and strengthened pistons. 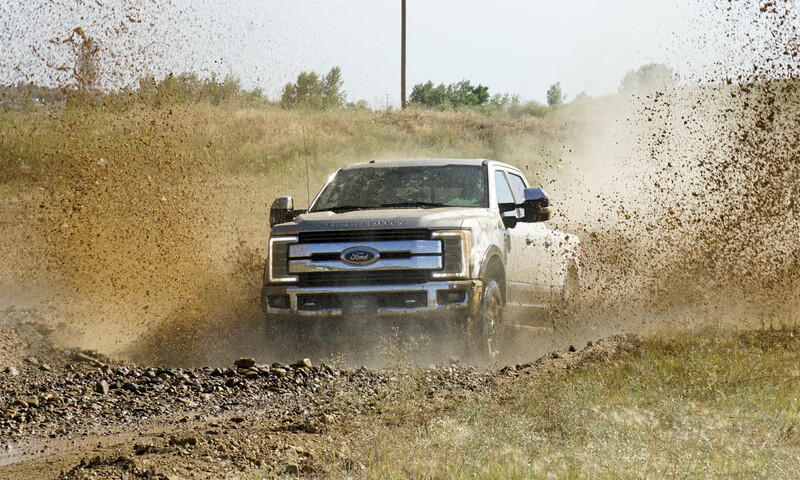 The result is an additional 5 horsepower and 5 lb-ft of torque for a total 205 horsepower and 156 lb-ft of torque. 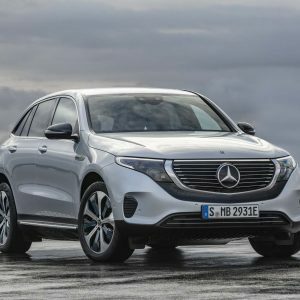 These engine updates are only for manual transmission models — the automatic transmission remains teamed with the original 200-horsepower motor. 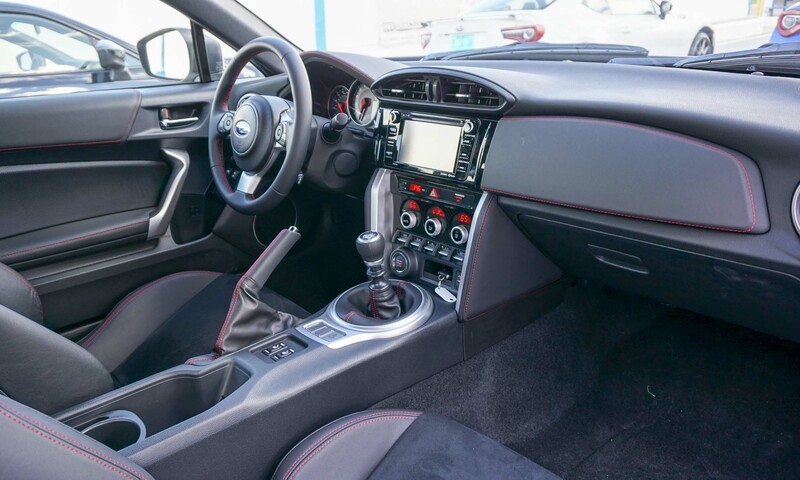 When equipped with the manual transmission, the BRZ has EPA fuel-economy ratings of 21 mpg city / 29 mpg hwy / 24 mpg combined. The automatic may not be as engaging and fun as the manual, but it does get better fuel economy: 24 city / 33 hwy / 27 combined. 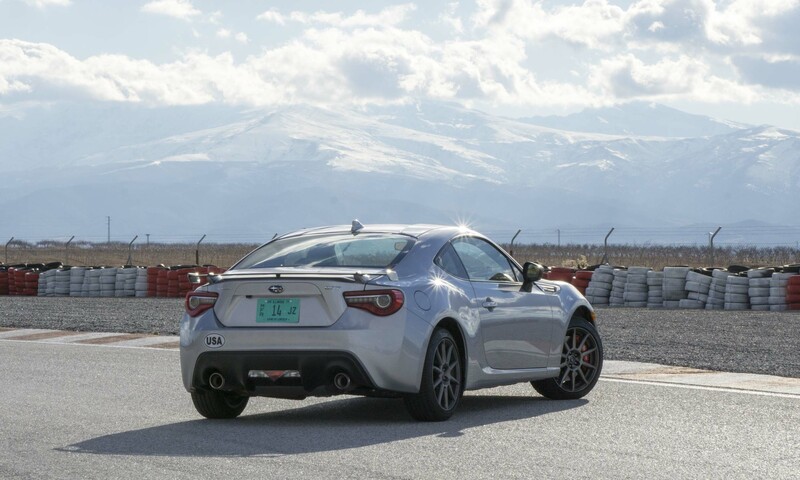 We drove the BRZ with the manual transmission and were impressed to discover that even after spirited driving on streets — as well as hard driving on track — the trip computer still showed 22 mpg. In addition to the engine updates, Subaru made changes to the suspension with the goal of improving the ride while enhancing responsiveness and stability. Front springs are slightly stiffer, rear springs are softer and there’s a thicker rear stabilizer bar. 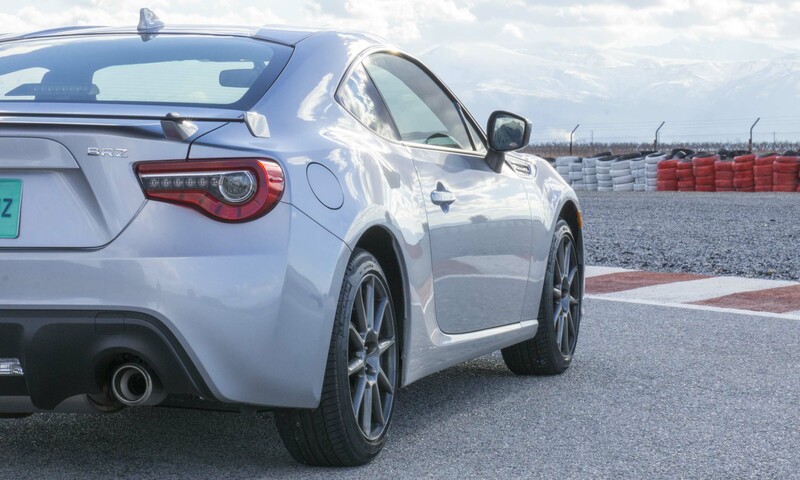 Revised dampers improve comfort without relinquishing any of the BRZ’s excellent driving characteristics. There are reinforcements to the body structure as well. Subaru has also raised the threshold of the stability control, allowing drivers to push the car harder before the system intervenes. 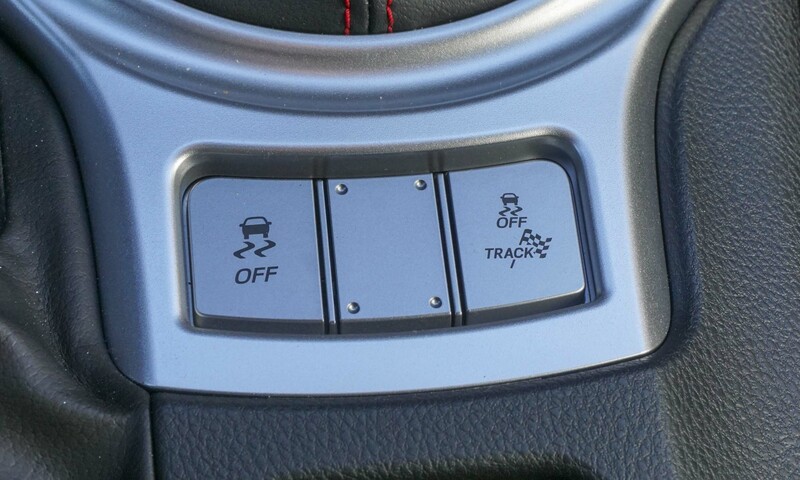 The previous Sport mode has been replaced by Track Mode, which will keep the car out of trouble while giving drivers more control over how the BRZ reacts. Translation: The new stability control is less intrusive than the previous version. 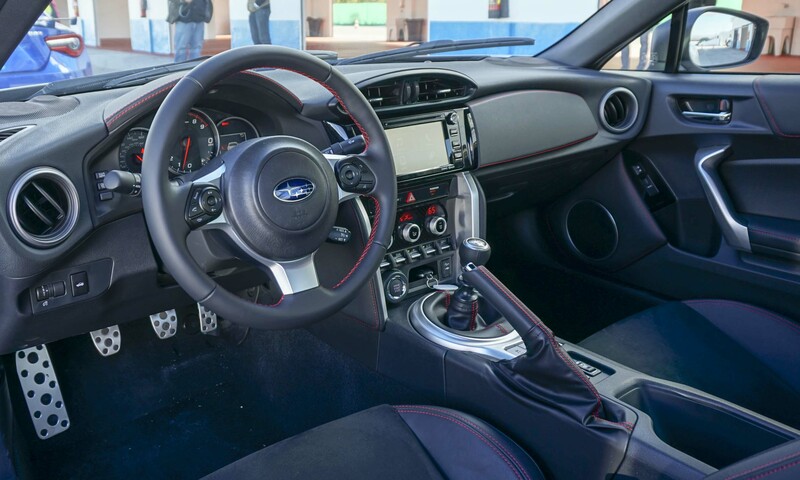 The BRZ’s interior also receives updates for 2017. Reacting to consumer feedback, Subaru created a new steering wheel design that now incorporates audio switches and controls. A new multi-function display in the gauge cluster provides information on lateral Gs, accelerator pedal position, braking force, steering angle, as well as an integrated stop watch for recording lap times. There’s an adequate amount of storage for front-seat passengers — the center console has two cupholders as well as space for a phone or other devices. Additional storage in the doors accommodates water bottles. The easy-to-read center display has relatively intuitive controls. We are always happy to see dedicated audio and tuning knobs, as well as classic climate-control switches. 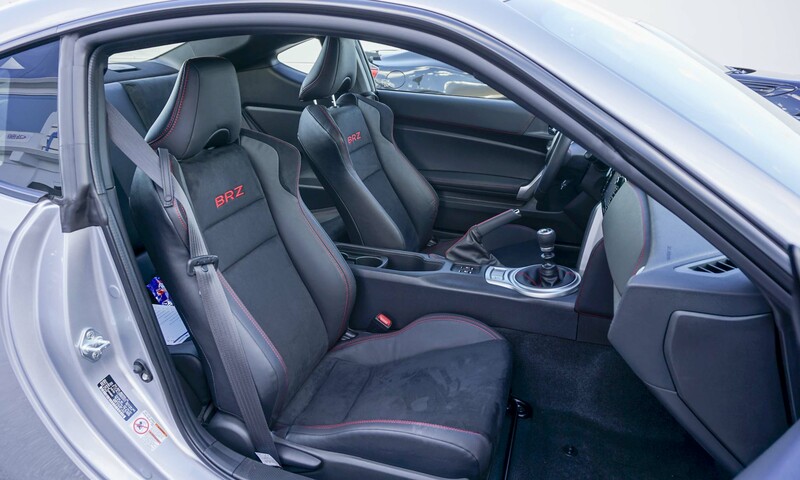 Front seats in the BRZ are comfortable and supportive without feeling tight. Not only are they attractive with the combination of Alcantara and leather surfaces, they work well for both a day at the track and the daily commute. 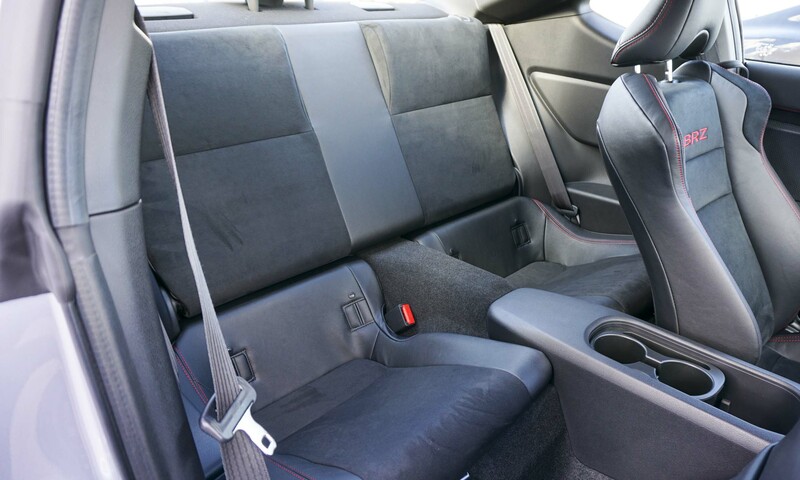 The BRZ’s rear seat is almost unusable for an adult, and even a child will feel cramped. But the seats fold down for added cargo space, which is likely their most common use. 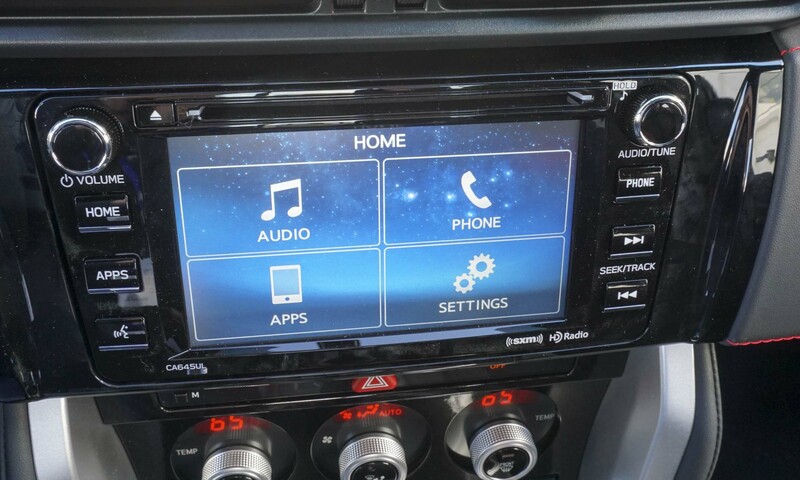 Subaru’s proprietary infotainment system, STARLINK gets additional apps for the new model year including Magellan Navigation, Best Parking, Glympse, Eventseeker and the unique eBird, which provides local bird sightings and locations. Although these apps offer fine functionality, the mainstream Apple CarPlay and Android Auto are noticeably absent. 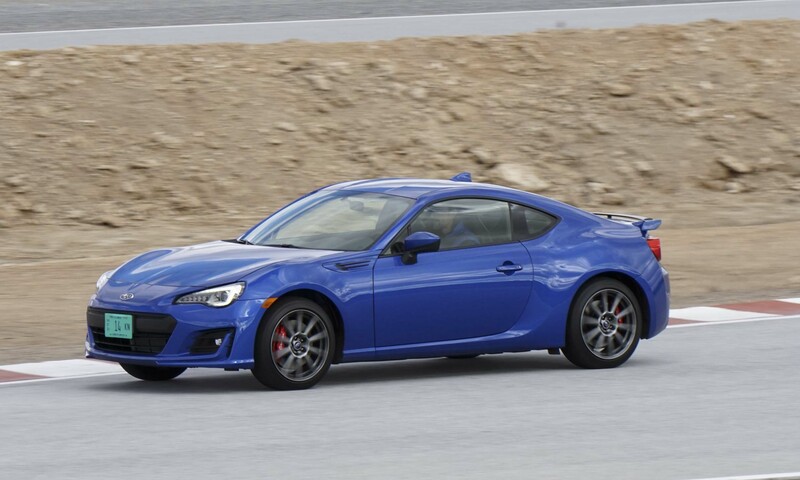 From the moment you slip behind the wheel it’s clear that BRZ is built for driving enthusiasts. On the twisty roads outside Granada, Spain, the little car really came into its own with precise steering and excellent brakes. The short-throw manual transmission is very engaging when rowing up and down through the gears. 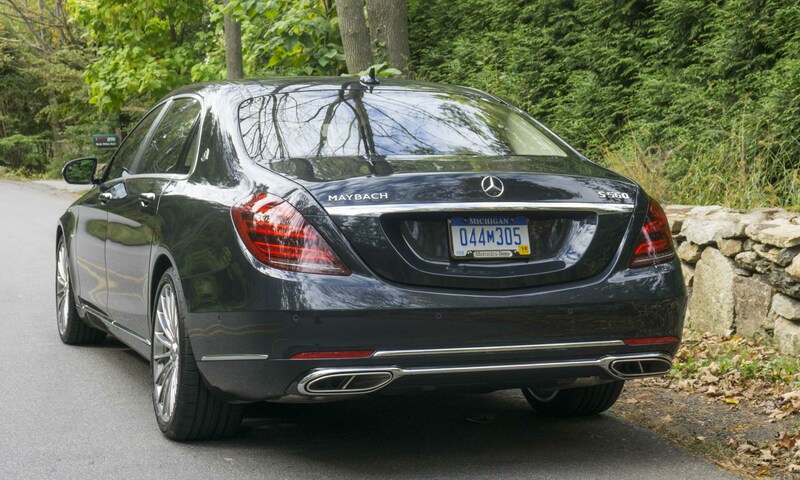 This rear-wheel-drive sport coupe feels solid and planted when put through its paces. On the freeway, the cabin remains surprisingly quiet, even while cruising at 80 mph or more. The ride is smooth and comfortable — an extended road trip in the BRZ would not be a problem. 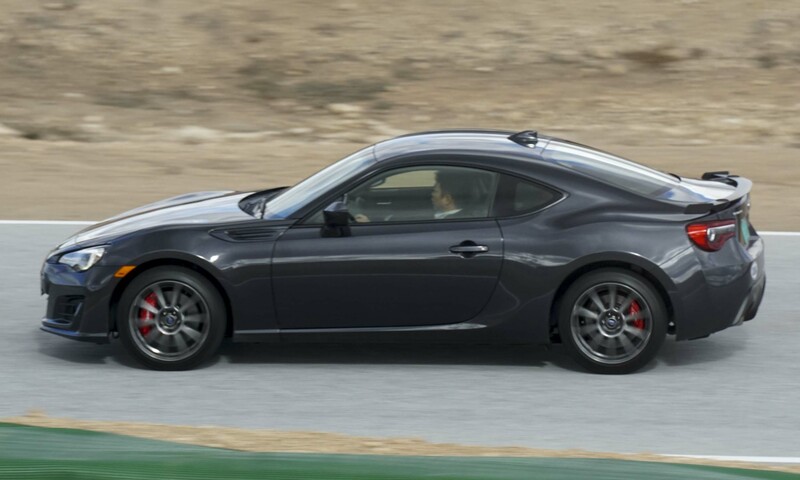 We also had the opportunity to drive the BRZ on Circuito Gaudix to push the limits of what the coupe can do. To say that this car is fun on the track is an understatement. 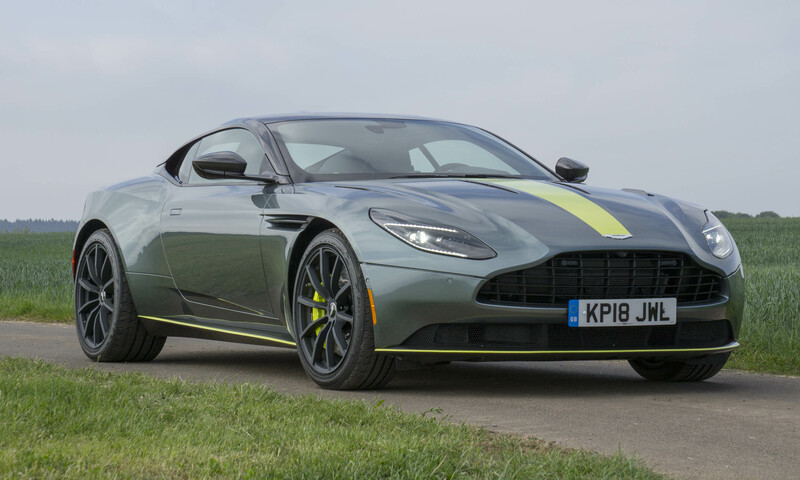 Grip is excellent, brakes are strong and predictable and steering is spot-on. The BRZ feels light and nimble — and very accessible so everyday drivers can take advantage of the car’s full capabilities. Bonus points for a great exhaust note. 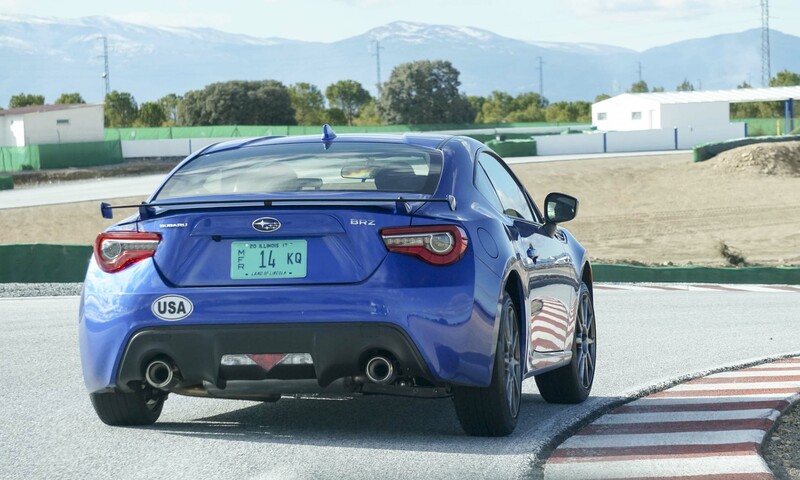 In most cases the BRZ’s 205 horses are plenty – acceleration is not strong but certainly adequate — although there were on-track occasions when we pined for a bit more power. 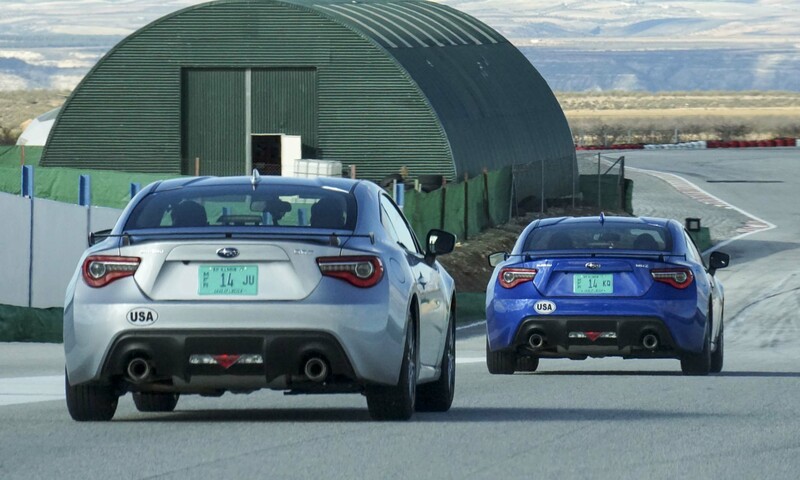 At full throttle on the straights of Circuito Gaudix the BRZ could have had a bit more speed, and on freeways we had to downshift to maintain a constant speed when cresting long hills. The BRZ is designed for someone who really enjoys driving. 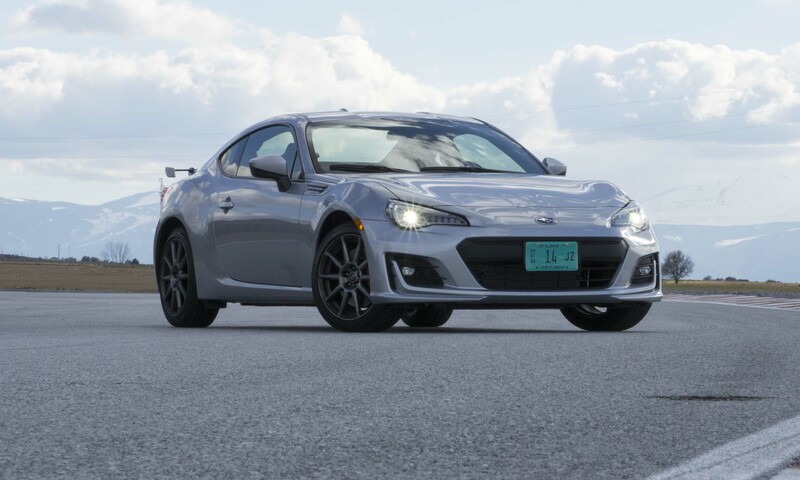 The size, balance, style and performance are all about driving fun, although the good trunk space and comfortable interior allow the BRZ to work well as a daily driver. This rear-wheel drive Subaru is not terribly powerful, but that also means it’s harder to get into any speed-related trouble. 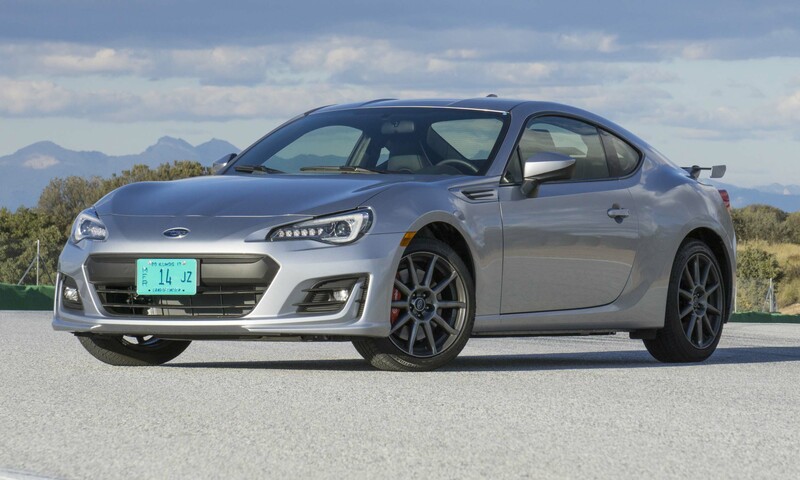 If you’re in the market for a car that can be used every day but still delivers the enjoyment of a pure sports car, the BRZ could be exactly what you’re looking for. Pros: Great handling; precise steering; good front seats. Cons: Tiny rear seat; could use more power; no CarPlay or Android Auto. 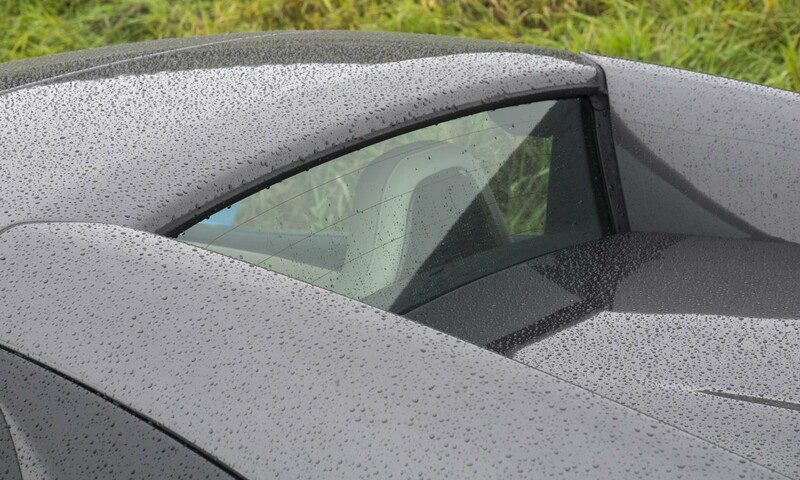 Bottom Line: A proper sports car designed for driving enthusiasts.